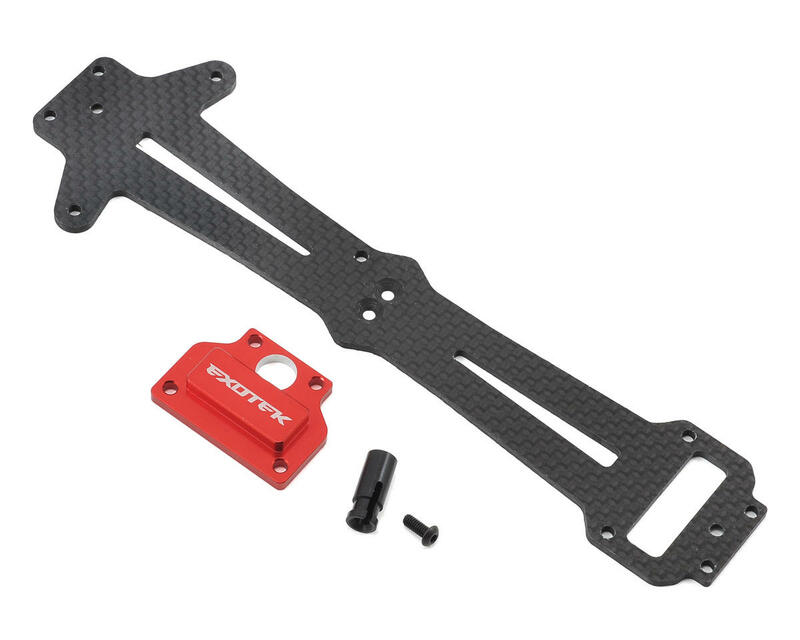 The Exotek Mini 8IGHT Carbon Fiber Top Plate Set V2 was developed specifically for the Mini 8ight AVC buggy. Made in the USA from 2.0mm thick extra heavy duty carbon fiber, this top plate is extra rigid to help prevent bent drive shafts and was developed to work with the Mini 8ight AVC gear cover set. 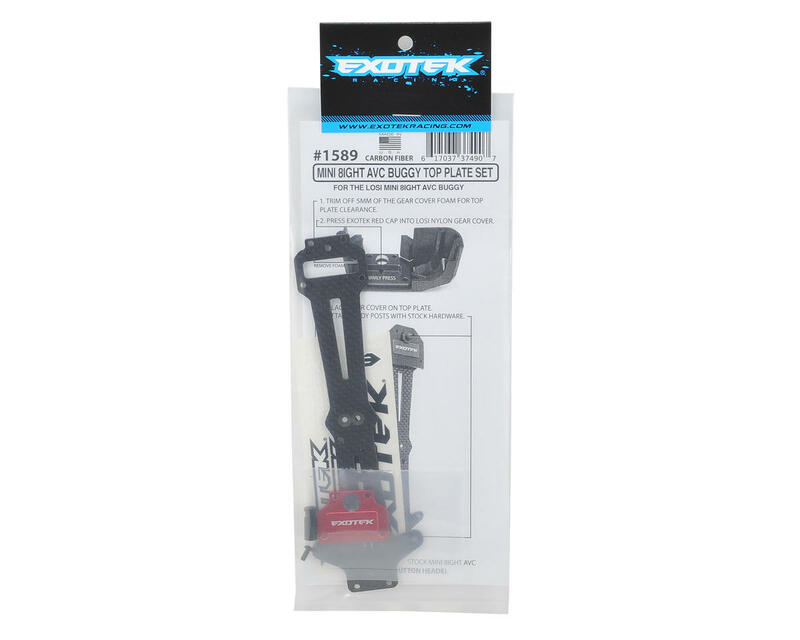 Includes bolt on 6061 alloy gear cap and antenna mount, and is compatible with both the the stock bottom plate and the Exotek bottom plate.